One of the things holding back the iPad and iPhone as computer replacements is the hassle of managing files. For years, there was nothing like the Finder on iOS. Items could be passed around from app to app, making copies and creating version-control nightmares, but apps couldn’t all read from and write to a shared repository. Your iPhone and iPad have storage–these days potentially a lot of it–but there’s no hard drive icon to look inside, no document hierarchy to access with a couple of keystrokes from just about any app. Sure, they look like computers, but they don’t manage files like computers. There are a lot of great things about this approach. File systems are complicated. We all probably know someone who is slightly less technically savvy than we are who has struggled to use the Finder. The idea that people shouldn’t need to spend their time dragging files and folders around their computer is a good one. Computers are smart, so shouldn’t they be able to handle that for us? There are security advantages, too–malicious apps can’t grab documents that don’t belong to them, or write malicious documents for other apps to load. Unfortunately, with simplicity and security also came a huge loss in flexibility. 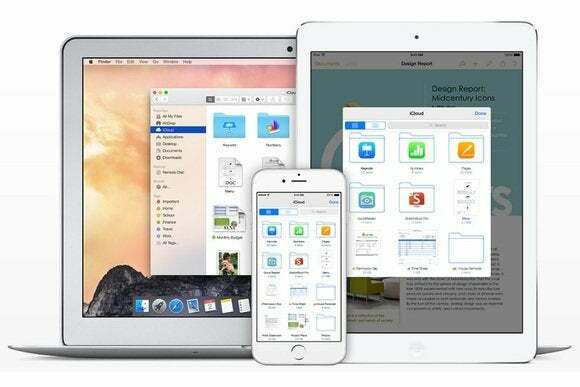 And with the rise of cloud-based storage systems like Dropbox, Box, Google Drive, and OneDrive, each with their accompanying iOS app (and integration with other third-party apps), many of us started storing files in folders on our iOS devices after all, just using network storage rather than our devices itself. iCloud Drive solves a lot of problems, but not every file belongs in the cloud. With these changes, it feels like Apple has finally embraced the idea that you might want to share files between apps and access them from cloud services–and not just its own. It’s a big change in philosophy, and if your vital documents are stored in the cloud, your needs are now covered. So what if your vital documents aren’t stored in the cloud? I own a small device that lets me record audio from up to six microphones and store it on a SD card. It’s a fantastic way to record podcasts on the road. One I’m done recording, I can connect the Zoom H6 ($400 on Amazon) to my Mac via USB and transfer over the audio files, or I can remove the SD card and plug it into a card reader. So many options! So… let’s say I want to edit that podcast on my iPad using an app like Ferrite Recording Studio. How do I import those audio files into Ferrite? 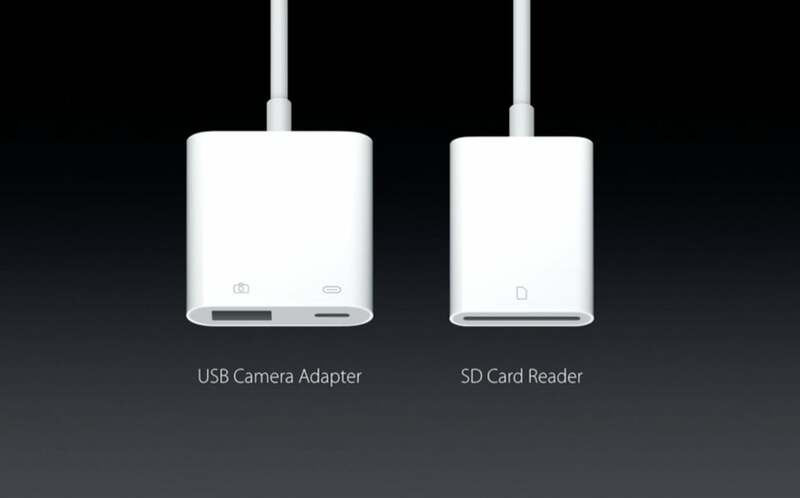 Apple already has the adapter. Now we just need more options in iOS. This all seems straightforward. I could use Apple’s USB to Lightning adapter to transfer the files via USB, or Apple’s Lightning SD card reader to read directly from the card! Except it’s not: Attaching a storage device to an iPad opens the Photos app and allows you to import images or movies. That’s it. That’s an approach that made sense when Apple was avoiding anything that looked like a filesystem on iOS, but those days are long gone. That’s why it’s time for Apple to add support for external storage devices to the document picker, just as it’s added support for cloud services. I should be able to plug in a USB hard drive (via that Apple adapter), or a SD card (via that other Apple adapter) and copy files to local storage. And let’s go a step further: Apple should also add support for file servers. I’ve got a Mac mini that runs all the time that I can access from anywhere in the world. Why can I connect to it via an FTP client like Transmit, but not via the SMB or AFP file-sharing protocols? 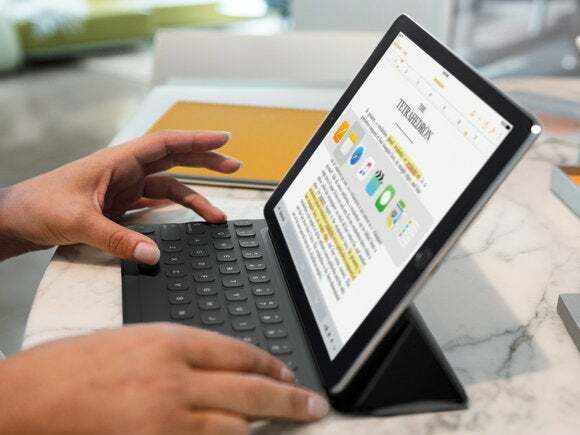 At the event announcing the 9.7-inch iPad Pro, Phil Schiller suggested that we could plug our iPad Pros into our secure corporate ethernet networks via that USB adapter. Sounds good–but what about connecting to the file servers on that network? I appreciate that adding these features isn’t going to be easy. The advantage of supporting cloud services is that you can cache the files locally but you are alway syncing them back to an official repository in the cloud. I don’t actually want to sync the audio files that are on my Zoom recorder–I want to import them into Ferrite and then disconnect the recorder and set about editing. Apple has a reasonable expectation that cloud storage services will be available for syncing at various times. You might plug a USB hard drive into an iPad once, and then never again. If you want to edit a file on that hard drive, and then disconnect the hard drive, what happens to the file? I’d assume iOS would cache that file locally and let you do what you want with it, and offer to sync it back to the hard drive when you reconnected it. But determining the interface for that sort of behavior is tough stuff. No wonder Apple hasn’t done it yet. But it’s time. I love the iPad Pro as a professional tool, but this is one of those features that a professional tool should have. I don’t see my iPad Pro to have its own Finder or hard drive or anything like that, but it needs to be more versatile when it comes to handling files, especially from external sources like USB drives, SD cards, and file servers.